Falvey Memorial Library :: Make Finals Eventful and You Could Win a Private Study Suite! Make Finals Eventful and You Could Win a Private Study Suite! We know that the last few weeks of the semester can be stressful – trying to complete your assignments when all you want to do is enjoy the springtime weather. April is also a busy month here at Falvey Memorial Library, as we’ve planned an awesome lineup of events for you to enjoy! In the midst of the madness, stop by the library and make finals eventful! 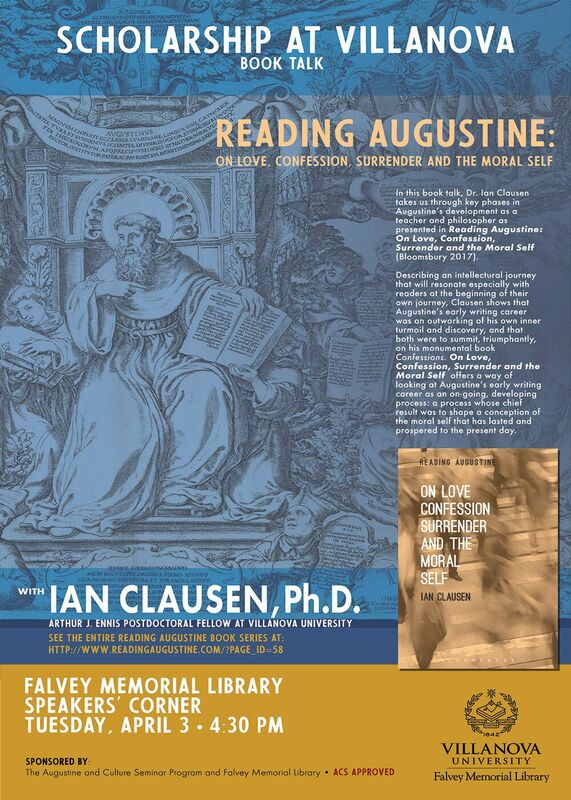 Take a study break and attend one (or all) of the events taking place in Falvey this month. You and five friends could win access to a private study suite in the library from May 4 through May 10 (6:00 p.m. – 6:00 a.m.) The study suite will also be stocked with tasty treats perfect for late night snacking. Join us as Catherine Kerrison, PhD, Associate Professor of History, discusses her new book, Jefferson’s Daughters: Three Sisters, White and Black, in a Young America. Celebrating National Poetry Month, students and members of the University community will share original work and favorite poems, ranging from the humorous to the thought-provoking to the sublime. 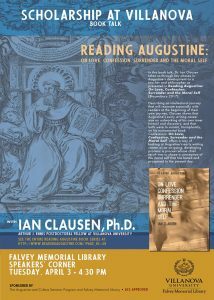 In this book talk, Dr. Ian Clausen takes us through key phases in Augustine’s development as a teacher and philosopher as presented in Reading Augustine: On Love, Confession, Surrender and the Moral Self. Join us for a panel discussion on the language of race and gender in 2018. We will be joined by three panelists from the Villanova community, including Sonia Belasco, Brighid Dwyer and Terry Nance, PhD. Join us as we celebrate the publication of CONCEPT: Villanova University’s Interdisciplinary Journal of Graduate Studies. Editors, authors and peer-reviewers involved in the project will be recognized for their contributions. Co-recipients Marc Gallicchio, PhD, and Michael Pagano, PhD, will each give presentations that highlight the extensive research that led them to win the coveted Outstanding Faculty Research Award. Join us for a reading and talk given by author Ariel Levy, one of the Literary Festival’s featured speakers. Levy is a staff writer at The New Yorker magazine. 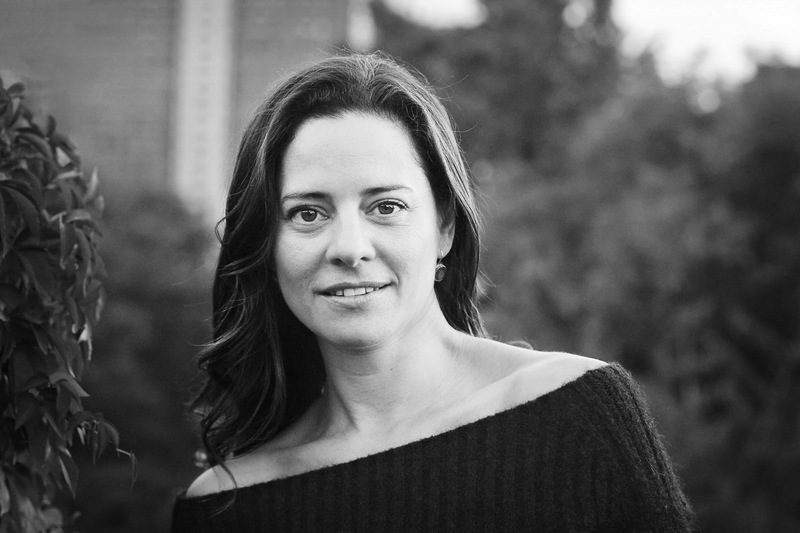 She is the author of Female Chauvinist Pigs: Women and the Rise of Raunch Culture and the memoir The Rules Do Not Apply. Join us as award recipients give short presentations on the content and findings of the research involved in the writing of the thesis or in the creation of the project report. For more information about the events listed above, please visit our webpage. We will announce the winner of the private study suite at our finals stress buster event on Thursday, May 3, at 12:00 p.m. in Falvey’s first floor lounge. We hope you make finals eventful at Falvey!